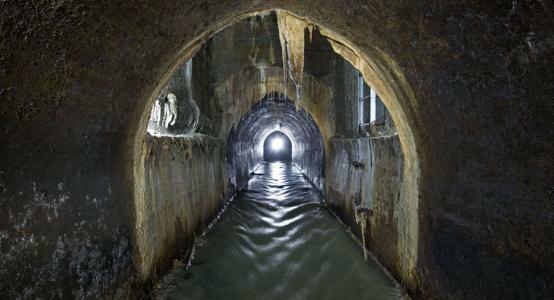 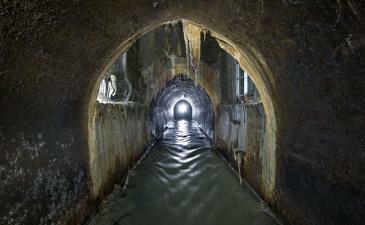 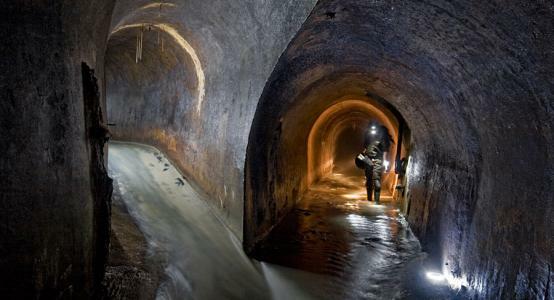 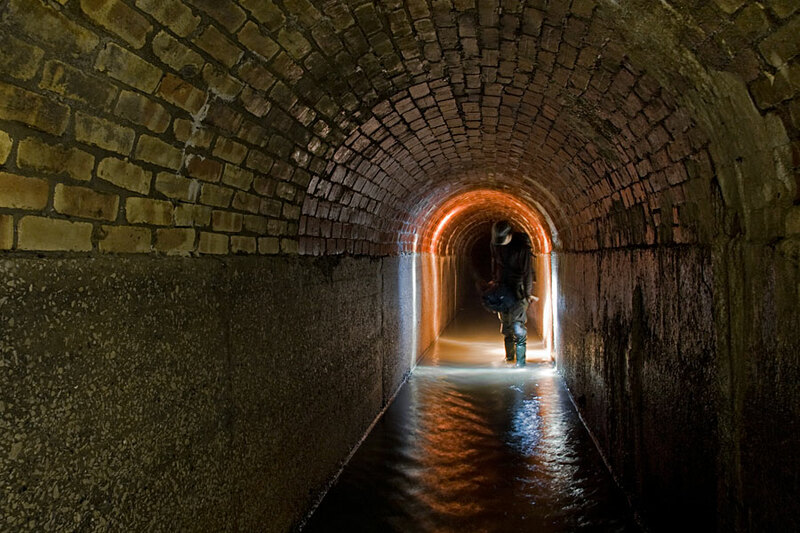 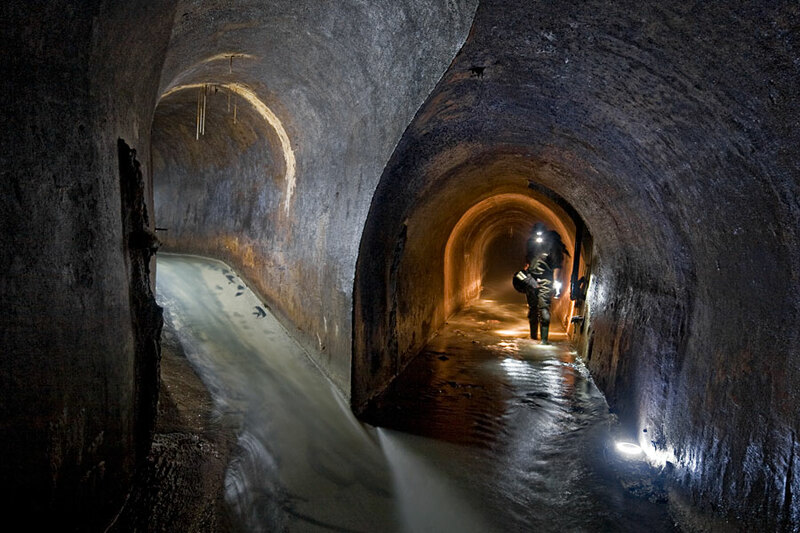 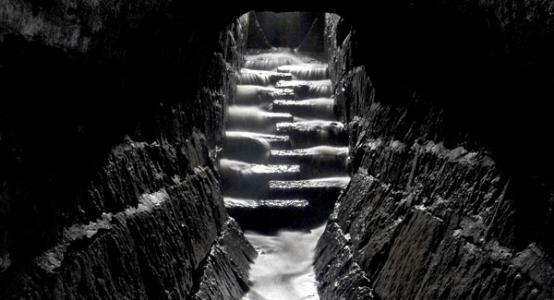 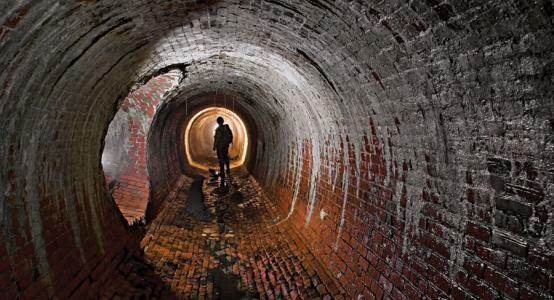 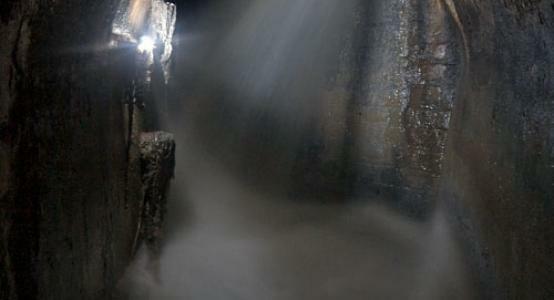 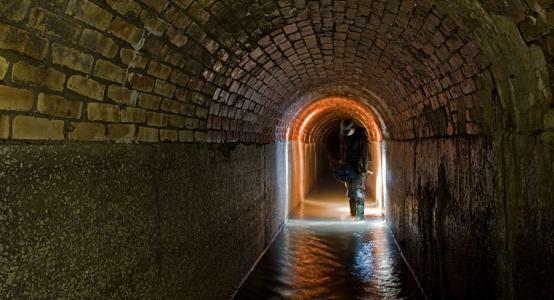 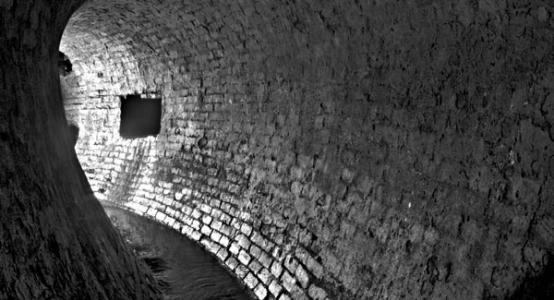 Several kilometres up the former Borough of York's Central and Eastern Trunk Sewer, sixty feet beneath Rogers Road. 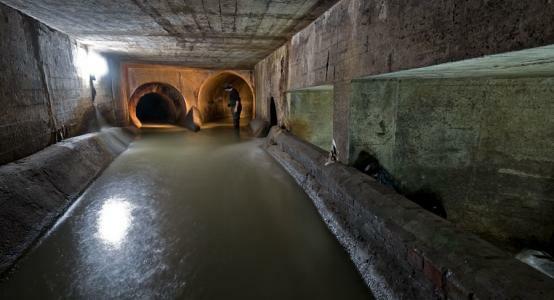 The Central and Eastern Trunk is a mess of a sewer, and I mean that with a certain amount of love. It's all finished in slightly horseshoe-shaped, arched concrete, and it has a few fantastically big access chambers that were left over from the excavation shafts that were used to bring men in and excavated material out while it was being built. 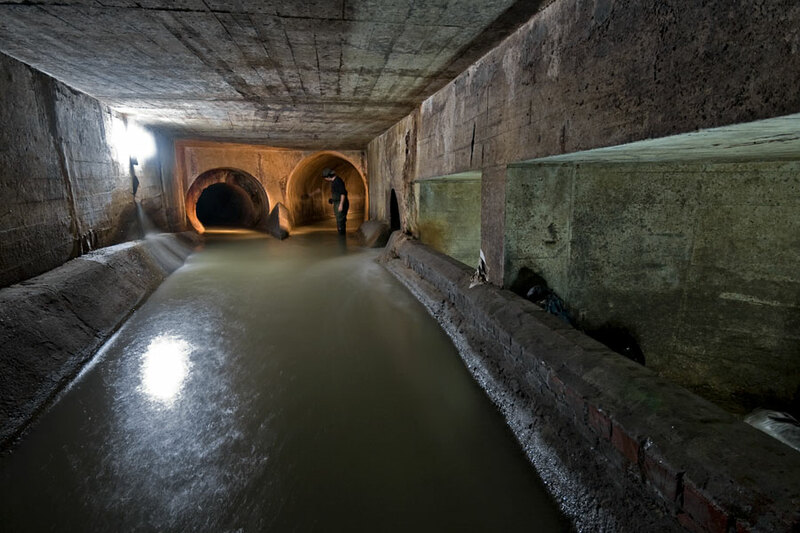 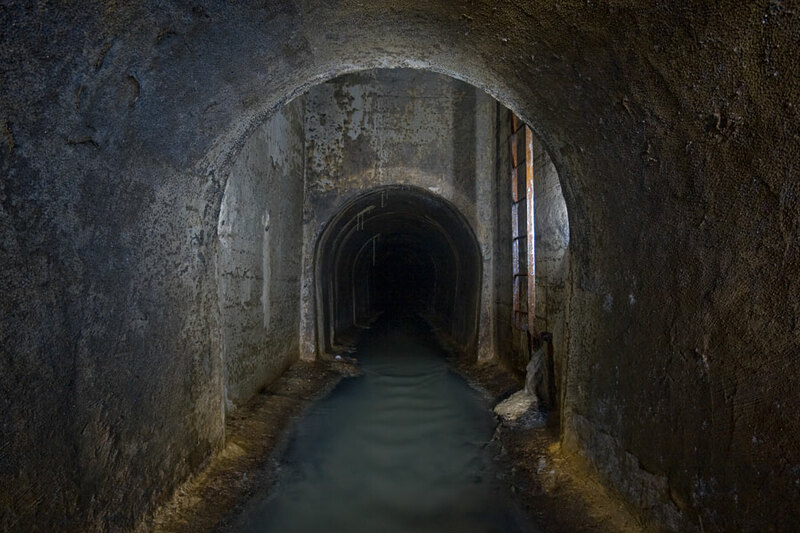 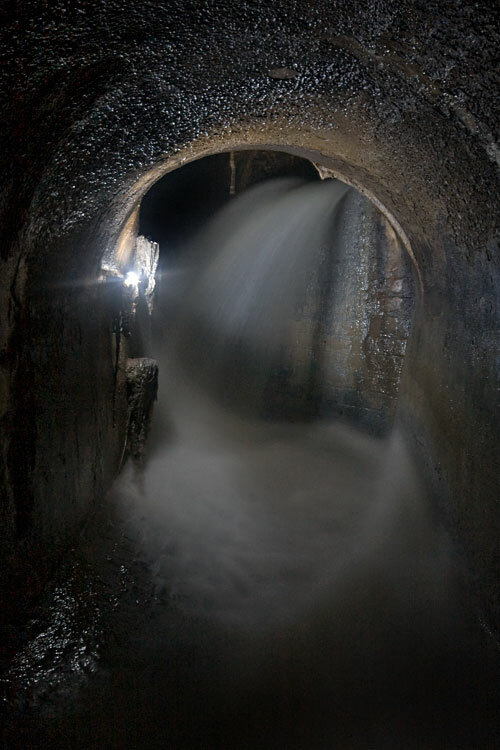 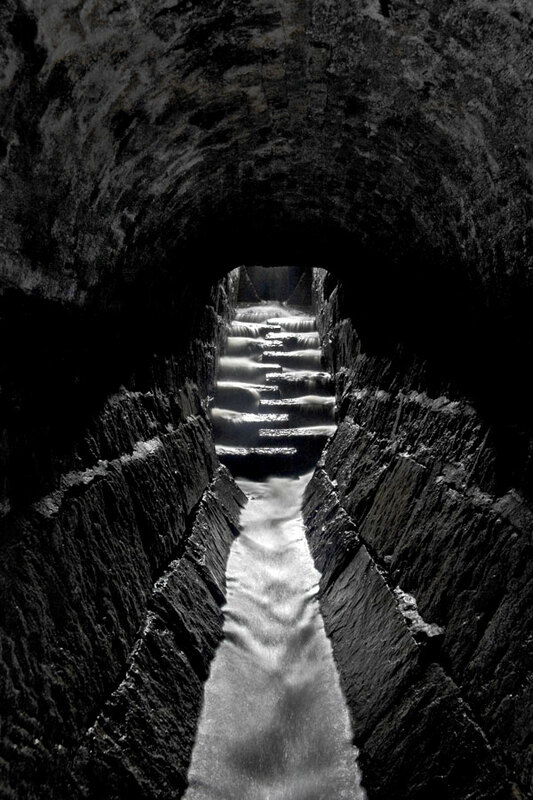 However, it also has its share of tight, humid, fast-flowing passages, and its overflows have long been the bane of the lower stretch of the Black Creek. 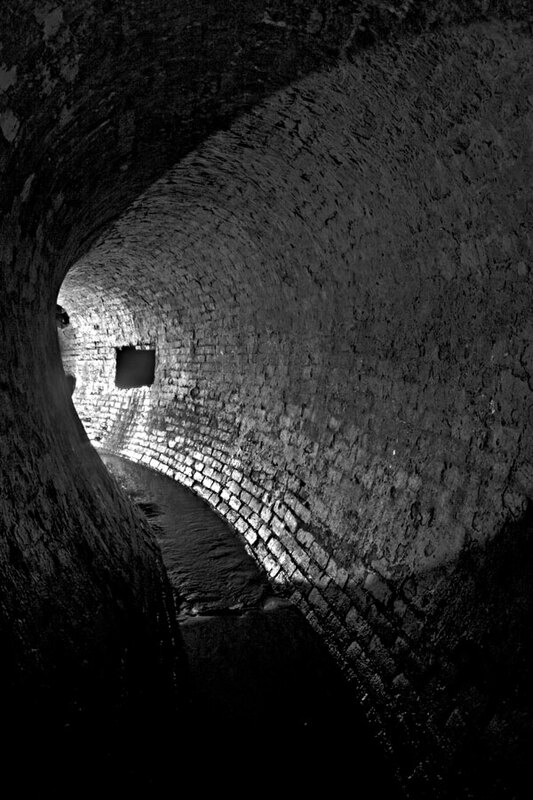 Folks exploring Toronto storm drains have known for a long time about the storage tank beneath the southern edge of Keelesdale Park. 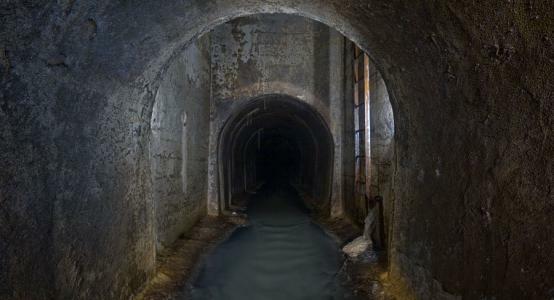 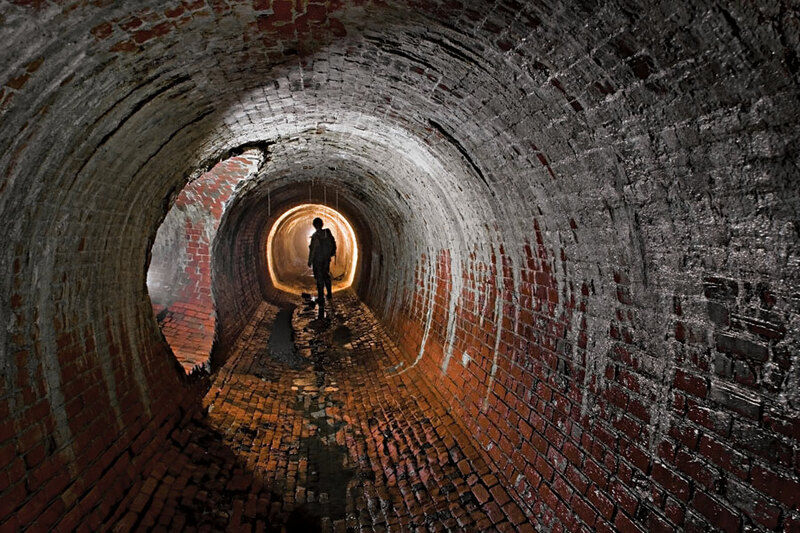 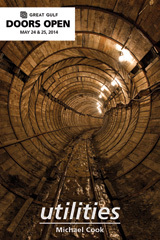 However, until 2009, no one seems to have found the tank when it was reasonably empty and followed the source pipe up behind it into the bowels of the old Borough of York.